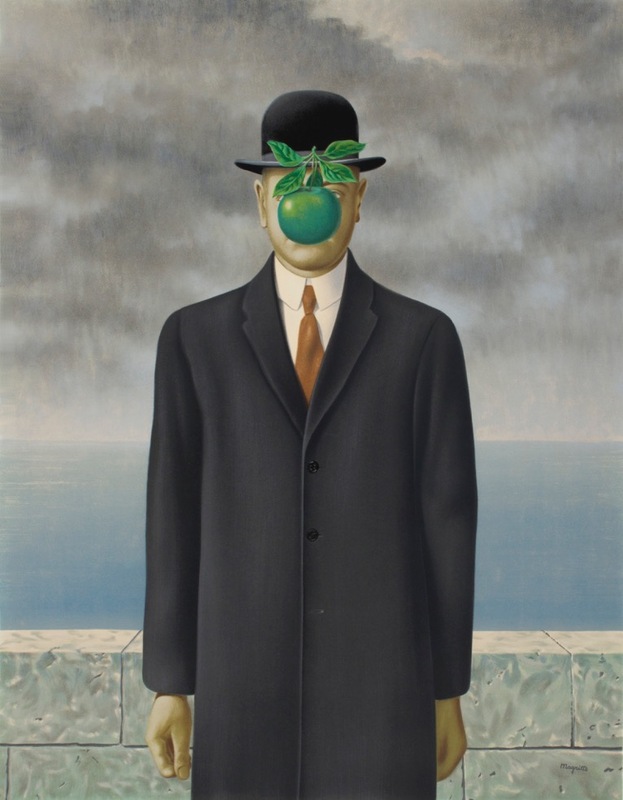 Belgian artist Rene Magritte began painting in 1915, at 17-years-old, drawn from a young age to futurism, cubism and purism; in particular the works of Jean Metzinger and Fernand Leger. A decade into his artistic career, he signed a contract with the Galerie le Centaure in Brussels, allowing him to make a living as a fine artist. 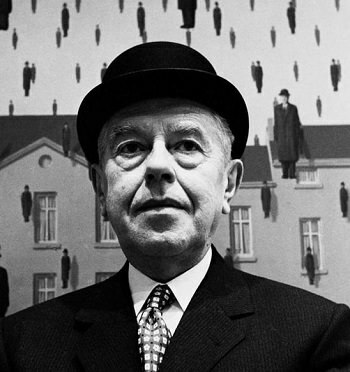 Magritte moved to Paris with his wife Georgette and joined André Breton’s community of Parisian Surrealists including Max Ernst and Salvador Dalí. His style became heavily influenced by the imagination and mystery of the surrealist movement. Magritte began experimenting with ambiguously organic forms along with surrealist subject matter of madness and hysteria. 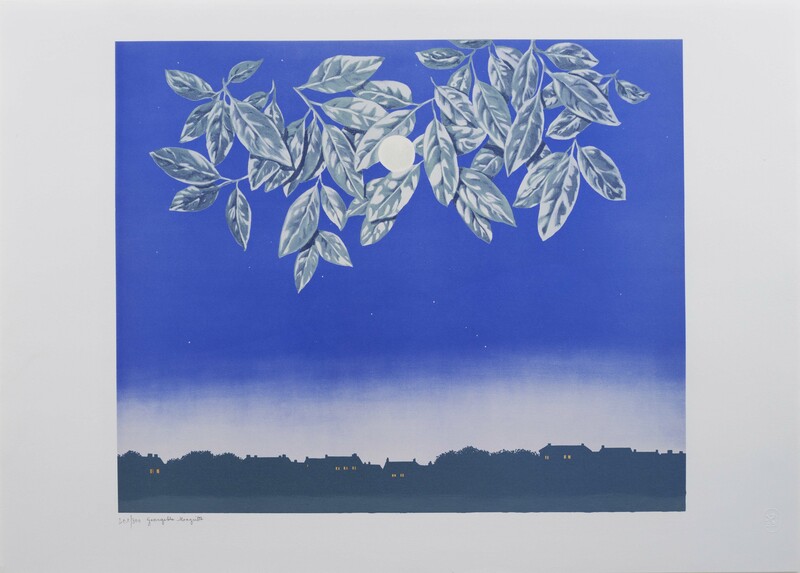 Though his contract with the Galerie le Centaure ended in 1930, Magritte steadily gained recognition from international collections and by the late 1930’s, found increased financial independence. He died at the age of 68 in 1967. 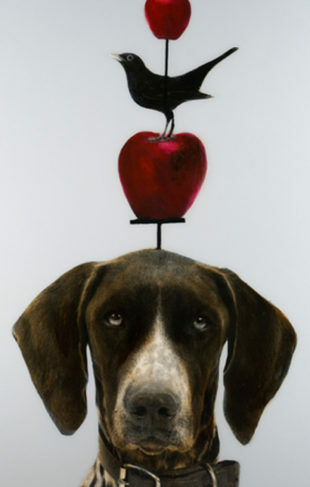 His artwork has been characterized by symbols including the men in bowler hats which can be interpreted as self-portraits, along with illustrative images beautiful in their clarity and simplicity. Still today, Magritte’s collection of artwork maintains an air of mystery, motivated by “the strange,” the spirit, and wonder.